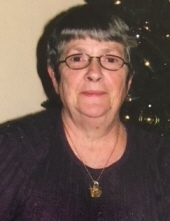 Alice G. Kauffman, 77, resident of Amherst, NH, died on November 26, 2018 at St. Joseph’s Hospital, Nashua, NH. She was born in Everett, MA on March 23, 1941, a daughter of George W. and Alice (Marois) Fisher. She was raised and educated in Malden, MA and had lived in Billerica, MA for 18 years before moving to Amherst, NH 19 years ago. Alice was a homemaker and spent most of her life raising and caring for her family. She loved to crochet, was a voracious reader and especially enjoyed books by Nora Roberts and Danielle Steel. She was a communicant of St. John Neumann Church, Merrimack, NH. Alice was predeceased by her husband, Ronald A. Kauffman, Sr. who died in 2012; a sister, Caroline Carr; and a great grandchild, Jameson Mahoney. Family members include four children, Donna M. Svenson and her husband, Daniel of Nashua, NH, Ronald A. Kauffman Jr. and his wife, Anne of Hudson, NH, Darlene M. McCarthy and her husband, Joseph of Hudson, NH, and Randy W. Kauffman of North Carolina; ten grandchildren and nine great grandchildren. A visiting hour will be held on Monday, December 3rd from 9:00-10:00am in St. John Neumann Church, 708 Milford Road, Merrimack, NH. A mass of Christian burial will be celebrated at 10:00 am. Burial will be in Edgewood Cemetery, Nashua, NH. In lieu of flowers, donations in her memory may be made to the American Diabetes Association, 260 Cochituate Road #200, Framingham, MA 01701 or American Heart Association, Memorial & Tributes, P.O. Box 417005, Boston, MA 02241-7005. "Email Address" would like to share the life celebration of Alice G. Kauffman. Click on the "link" to go to share a favorite memory or leave a condolence message for the family.